Working with Whiteboard has been such a positive experience! Nicole and Caroline are great and the content they produce is stellar. Thank you so much, Anna! We appreciate your feedback and recommendation! Thank you! We are so glad that you enjoy working at Whiteboard! Thank you so much for your feedback. We are glad you feel the atmosphere of our company is positive and you enjoy coming to work! We love having you on the team! Well run small business. A company with strong values with a client focus . Opportunity for advancement. Growing due to success of our clients and their referrals. 401k match program. Dedicated team that work well together. Early Release on Fridays in the summer is a perk too! Due to the consistent growth of the company, they are looking for additional office space. The environment at Whiteboard Marketing is like nothing else that I have experienced. Everyone here is so caring and really do care about your life outside of the office. While it may be fast paced, I have been apart of so many different projects that have helped me grow as a Digital Marketer. A lot going on at once. While it can be great for experience, it can be quite busy. We Are Your Marketing Team I have been working at Whiteboard Marketing full-time(More than a year) Pros The environment at Whiteboard Marketing is like nothing else that I have experienced. Everyone here is so caring and really do care about your life outside of the office. While it may be fast paced, I have been apart of so many different projects that have helped me grow as a Digital Marketer. Cons A lot going on at once. While it can be great for experience, it can be quite busy. Relaxed, collaborative, positive team. Whiteboard is a Marketing agency that wants its employees to succeed and does not have the internal stress I have seen in other organizations brought on by titles and egos . Best perks I have ever seen! There are a lot of clients. Whiteboard is going though some growing pains, however they are making the investment in people and technology to keep up. Don't let your growth change what makes you a successful advertising agency! Great Environment I have been working at Whiteboard Marketing full-time(Less than a year) Pros Relaxed, collaborative, positive team. Whiteboard is a Marketing agency that wants its employees to succeed and does not have the internal stress I have seen in other organizations brought on by titles and egos . Best perks I have ever seen! Cons There are a lot of clients. Whiteboard is going though some growing pains, however they are making the investment in people and technology to keep up. Advice to Management Don't let your growth change what makes you a successful advertising agency! Thank you, Dr. McClatchie! We are so glad that you are enjoying learning about how important website copy is. We love educating our clients to ensure your marketing efforts are as efficient and effective as possible! If you are looking to boost your presence in your community or Social Media, Whiteboard Marketing is the organization to have as your marketing representative. As with anything in marketing, you have to be patient when just starting out, but they will get you there! 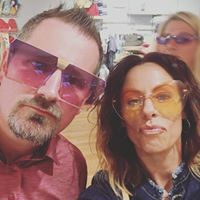 Jodie and Sean are very creative and knowledgeable about ALL things related to social media, SEO, websites, and marketing ideas. They have put together an outstanding staff to support their goals in making you the best you can be. Jodie has always been quick to respond to all of our needs. Wouldn’t trust anyone else with the marketing end of the Practice. Thank you so much for your thoughtful review. We love getting to creatively assist our clients in growing their digital presence and improving their marketing efforts. We appreciate your trust and will be sure to share your compliments with our whole team! Whiteboard Marketing is a one-stop Marketing gem. We use Whiteboard Marketing for all of our advertising and marketing needs. Thank you so much! We are so glad to be your marketing partner!